Students at South Africa’s biggest and oldest distance learning university, UNISA, have taken to the internet to share the burden of part-time studying with a dedicated UNISA forum at studybuddies.co.za. Allowing users to post questions (and answers) to subject-related material through the year, as well as going through past exam papers together and planning for new modules each semester, the message board brings UNISA’s tens of thousands of local and international students together with a single ambition in mind: better results and more enjoyable studying for all. 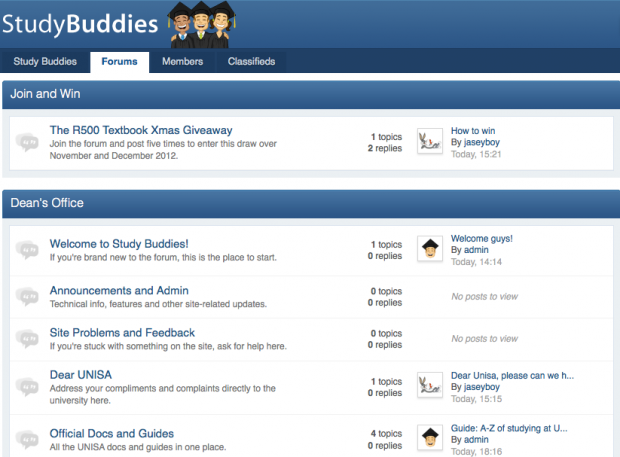 The Study Buddies forum launched just this morning, with a R500 textbook voucher on offer to new members. Have a look and get involved at http://www.studybuddies.co.za. 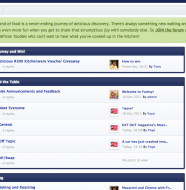 4 Comments on "UNISA students share the load at studybuddies.co.za"